We have two groups so come and join us as a volunteer at one or both sessions for practical conservation work at various green spaces. The aim is to help improve these areas for wildlife (and people) while having fun, learning new skills, gaining valuable experience and enhancing job and other volunteering prospects. No experience necessary. Everybody is very welcome. Typical tasks: Activities may include coppicing, hedge planting, green woodworking, food growing and composting, meadow planting, surveying and monitoring wildlife, pond maintenance, bird/bat boxes, orchard maintenance, scrub clearance, maintaining Forest School sites, basic bushcraft and more. Day & Time: Every Thursday from 10.00 - 15.00. Most Thursdays we provide lunch and other refreshments which we cook over a fire. Once registered you will receive weekly email updates with task details and locations. Contact: Huw Morgan, Youth Volunteer Co-ordinator, click here to email or call on 07771 375273. Day & Time: Wednesdays during term time, from 10.00 – 15.00. 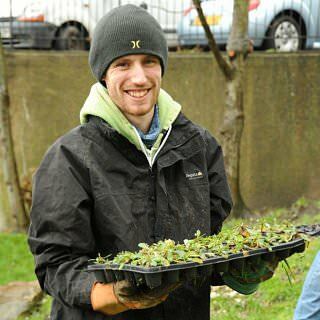 Looking for a chance to get some voluntary experience in the environmental sector? Why not join Youth Rangers. If you have a genuine interest in wildlife this group is for you. Youth Rangers carry out genuine conservation work in and around Crawley. 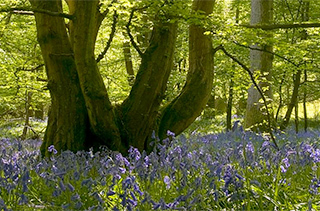 We provide a broad range of activities and conservation tasks to get involved with, including: identification, surveying and monitoring of wildlife; habitat management such as coppicing, scrub clearance, hedgerow planting; wildlife gardening; safe use and maintenance of hand tools; basic green wood working and bushcraft. Some of our rangers have gone on to college and even into work as a result of their experience with us. Please contact Tamara to register or for a chat about your interest in joining.